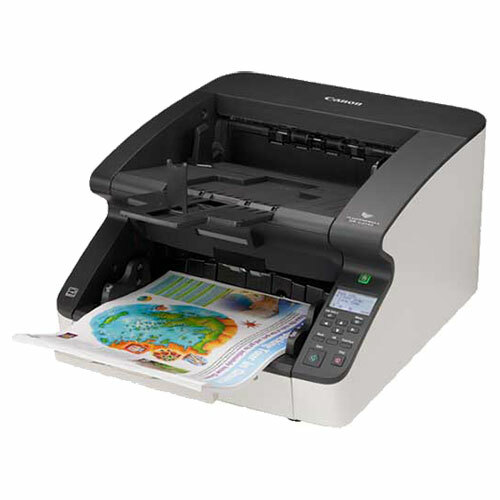 The DR-G2140 scanner handles up to 110 pages per minute both sides in a single pass and holds up to 500 sheets in the ADF. It is also equipped with a dedicated, onboard image processing chip, making it capable of maintaining fast scanning speeds, independent of PC performance. These features all help contribute to improve productivity. 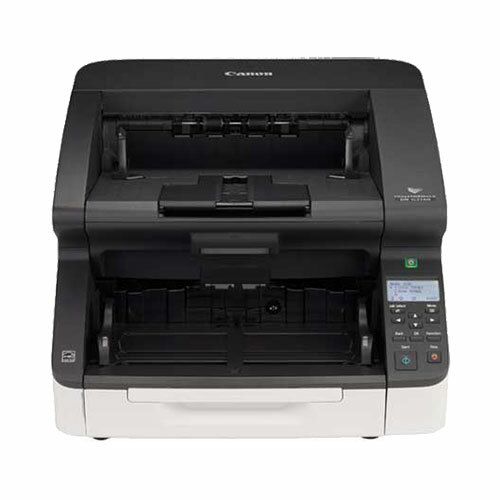 In addition to the USB connectivity, ethernet connectivity is also included in the DR-G2140 scanner, adding to the scanner's installation and operational flexibility. Plus, ethernet connectivity support can be helpful for use in Virtual Desktop Interface (VDI) environments. The DR-G2140 scanner features an intuitive control panel that allows easy access to scanner settings and user-programmable job buttons for one-touch operation. 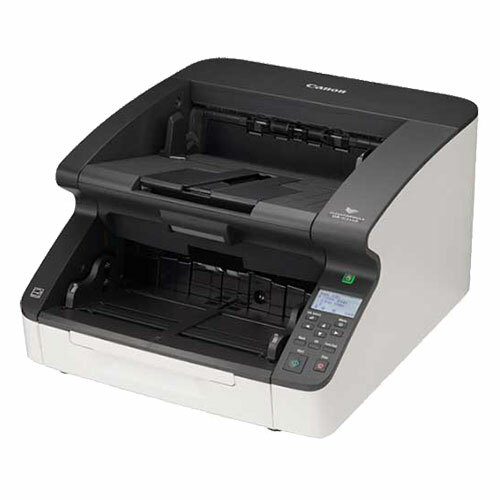 This scanner is also equipped with a motorized paper feed tray that can be adjusted to the height of the batch, and flexible paper feed and output guides. This, plus the ability to handle a variety of document types, allows for unattended batch scanning, which can help optimize workflows and increase efficiencies.